We recently installed these stunning Solidor composite doors. The first is a Tenby Solid door, from the Traditional range, in schwarzbraun, along with sidelights, and striking dummy sashes. The Tenby door is incredibly versatile. The top panels can be glazed for additional light, or solid for increased privacy. There is also a wide range of colour to choose from, along with a selection of accessories, in heritage style, or contemporary. The stunning sidelights are a fantastic way to add more natural light into the home. The second door is an anthracite grey Milano door from the Contemporary Italia range. Inspired by the Italian passion for design and style, the Italia range has 19 exclusive designs, available with solid, stainless steel designer accessories, as well as the option of handmade Warwick Glass, where two pieces will never be the same. 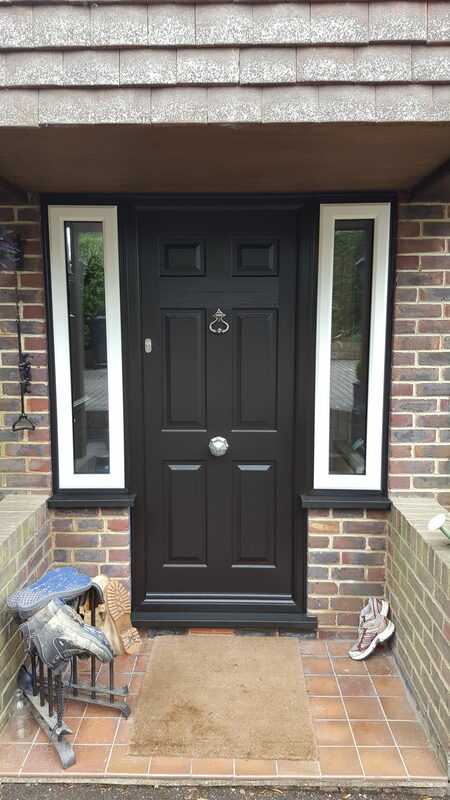 With a solid timber core, Solidor’s are roughly 10mm thicker than other doors. Outstandingly energy efficient, Solidor’s come with Ultion locks as standard, making Solidor’s most secure doors on the market. With 20 colours to choose from, and multiple styles and frames, there is a Solidor to suit every home! 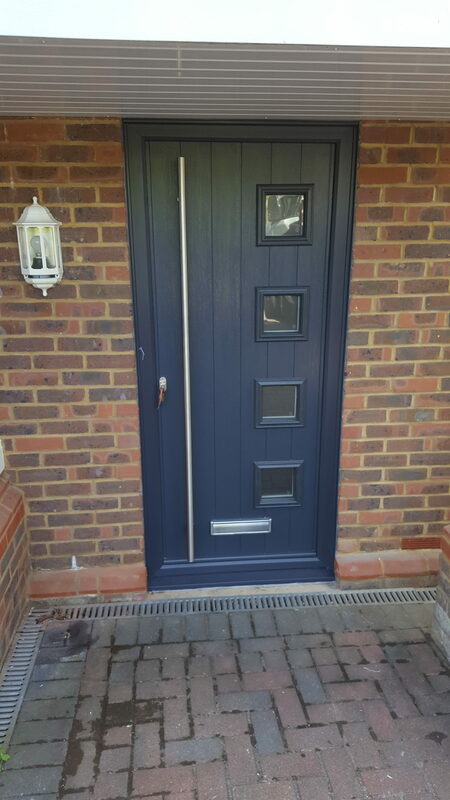 Why not get in touch with us today about Solidor composite doors, and what we can do to brighten up the entrance to your home.